All the elements converege this morning at Dream Lake to form a perfectly symmetrical reflection. 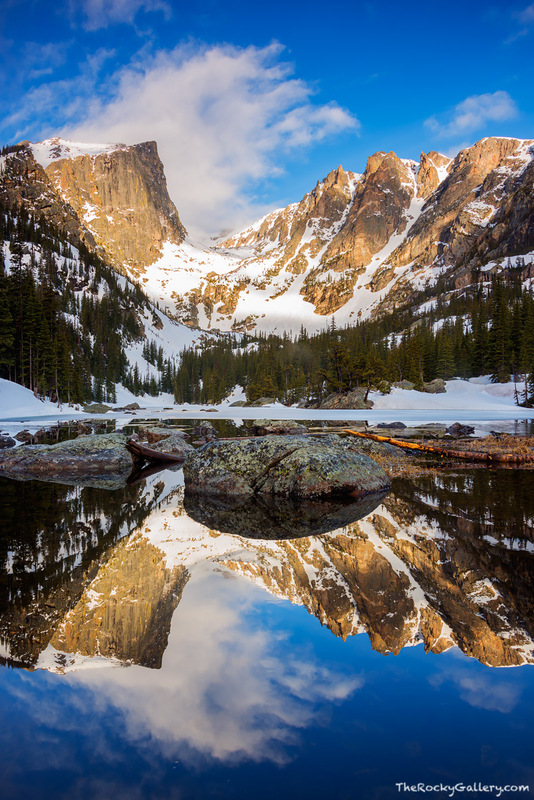 Hallett Peak and Flattop Mountain reflect in the plaid and calm waters of Dream Lake as clouds begin to sweep over their still snow covered summits on a dreamy May morning in Rocky Mountain National Park. Photo © copyright by Thomas Mangan.